Facebook is one of the most popular social networking site, and one of the best feature in Facebook is that you can share and upload your photos there, which allows users to inform their friends of their whereabouts and actions. And if your are the facebook user and want to download all your albums and want to save in your pc, yes you can do it easily with simple steps. There are so many app which will help you to download all your Facebook albums easily like Picknzip and FacePAD. But today here we will discuss about then new Firefox addon PhotoLive. 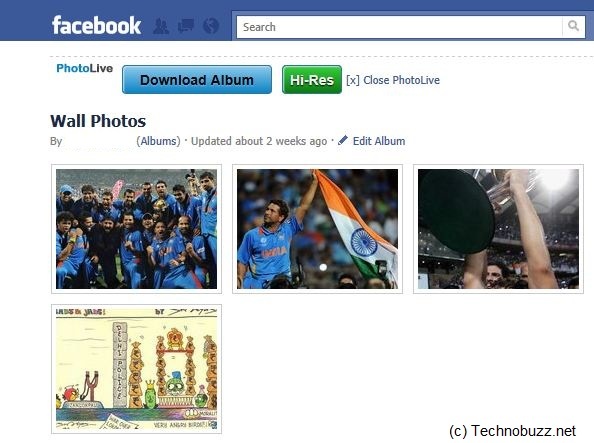 PhotoLive allows you to save photos and albums from Facebook, without needing access to your account. Using a simple browser extension PhotoLive lets you download any album on Facebook that you have permission to view, with the click of a button. Step 1. Downland and install the PhotoLive Addon here or Save it in your Bookmark toolbar. Step 2. Now go to you Facebook Album that you want to download and click the Bookmark that you saved in Steps 1. Steps 3. Now you can see the big blue “Download Album” button on the top left of your Facebook album page, Click the button to download Album. Step 4. This takes you to the PhotoLive site. It takes a moment to prepare and download the ZIP file. Thats it ! 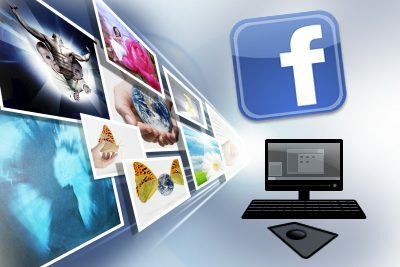 Now you can download all your Facebook Albums easily with this free addon. You can check out more Facebook tips here.